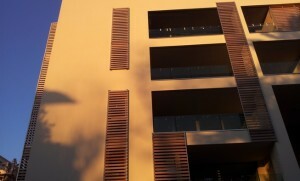 The sliding sunshades are wooden brise soleil solar shading panels or installed on supports with bearings trucks to allow the panel to scroll sideways . It is also possible to install a motor that allows to move it electrically . The sliding sunblind can be found on the terraces , balconies or windows and have the function to filter the sun’s rays , preventing the full exposure of the room without affecting the lighting but providing privacy inside the rooms . 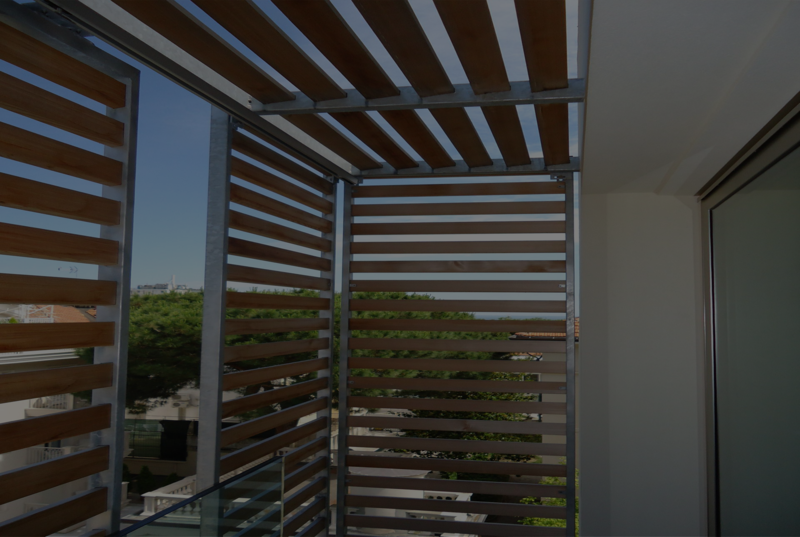 In setting slats you can decide the degree of tilt and distance , or require more or less wide joints in the case of vertical slats . 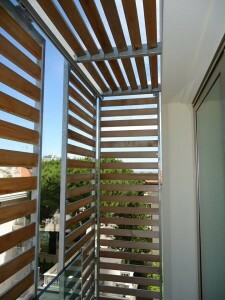 The wooden sliding sunblind it is a product mainly used in exterior . The bottom rail is inserted into the floor and is therefore not a stumbling block in the output on the terrace ; You can , however , also enter the interior of buildings , for example to separate the different rooms of the house . The sliding sunblind is realized with wooden slats on a supporting structure of steel or aluminum , materials which are chosen according to individual requirements and according to the type of realization . The company Albero Maestro has a highly qualified technical office , able to respond quickly to their customers when they may submit to the need to develop an architectural project or require advice on a project idea . In fact the company is able to assist in the design phase , advising in the choice of materials, construction , and supervising the installation . All modules and sliding shading panels are made ​​to measure , as if they were the “luxury tents” if used on exterior or particular items of furniture to give lightweight comfort when used indoors.